Green is a special colour. One of the earliest uses of the word green comes from the old English verb, growan – which means “to grow”. And no better word could describe the horizon that I was walking towards. Green, not with envy or negativity – but with the growth of expectancy for what was to be my story of colour. The new birth from what was into what it was to become. Green isn’t a primary colour, it has to be made from two colours – one of which is yellow – the colour of hope. So one could say that green is the solidifcation of hope in my story. The realisation of the dream. The catalyst that changes blue into green. But before we get too far ahead of ourselves – green takes us to other, even earlier, memories in my life. Let me explain. But be warned. The contents of this chapter are the inner workings of Stephen’s brain. It bares very little logical sense to the untrained in the ways of Stephen. Hey, still sit back, read away but prepare for an meaningful blog of metaphors and imagery. I live in Portslade. That’s Brighton, for all you non-locals. It sits quite comfortably next to Hove. Hove which has a huge park. And in that huge park sits a monument of sorts. Most likely, if you’ve ever been there, you’ve walked past it or on it without even realising it was there. But this monument is exactly where our green story begins. Latitude 50°50’38.67″N and Longitude 0°10’19.79″W (according to Google Earth) sits a symbol of journey and mystery, all culturally wrapped in modern design. Is it a fingerprint? Is it a maze? Is it a labyrinth? What’s the difference? 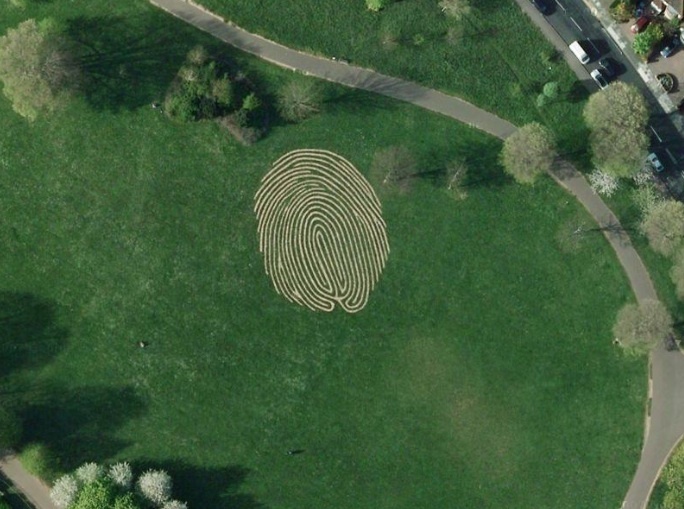 Actually it’s meant to look like a fingerprint and it is a labyrinth, the two coming together as the perfect analogy for the journey of my life. A labyrinth, unlike a maze, takes you from the outer paths and into the centre, only to continue to the exit. No options. Just a twisting trail from start to finish. Labyrinths have many historical and mythical connotations, but my favourite is that of spiritual origins. They were to represent journeys of pilgrimage. Supposedly, the gradual journey through the paths will take your focus from the world around, and instead, create a focus on the destination. And that is exactly where I found myself after my dragon slaying adventure of late. My adventure had taken me to a place in which I no longer was interested in the how’s and the what’s, but had my attention drawn to what I was headed towards. One of the great things about looking towards the future is that it highlights the golden elements of the past and hides the painful moments. Before entering the labyrinth of life, I took a look around at the crazy world I was a part of. The things gone by and the things that were still a part of who I am. 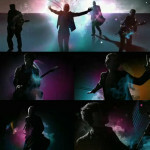 I looked at the colours the flew around me, stories of my past, stories of the things that had made me who I am today. As I looked to the left and to the right of the labyrinth of things that had been and things that were, the memories flooded back. My wedding, my studies and my friends past and present. It was like a journey of colour, that I’d liked through and never noticed. There were times where I sped up, times where I slowed down and times where I’d completely stop. But the amazing thing was that the next part of the journey waited ahead of me. 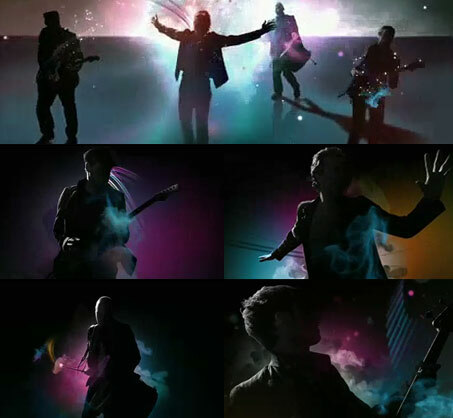 To try and describe it, it was like bright clouds of colour, hovering over a black backdrop. I could see the silhouettes of people I knew and elements of my life that echoed as part of my very anatomy. I stood, amazed, in the middle. It was one of the most wonderful sights I could ever hope to see and yet, somehow, I knew that as I took the next step into the very mouth of the labyrinth – things would get brighter and more beautiful. So obviously, I took the leap of faith. Somehow something changed in that moment. No longer did I see the the endless employment hurdles that had loomed to delay my vision, but now the call of a brighter prospect. A new life in which to lead. Now all I could see was what potential was up for grabs, eagerly awaiting my efforts. The epiphany of that moment was that this journey of colour was only going to happen through my own actions. Through my own doing. So with that driving me, a shoot sprung through the wilted tree of employment that ran central throughout my life, and suddenly everything snapped into perspective. It was like the aligning of things past, present and future all met to result in one event. Stephen was to start his own employment. I visited my parents recently. And I was reminded of a simpler time, when I was in pre-school. I found an orange seed in (of all places) an orange. So I planted it. I planted it in a pot in the hope that one day it would be a mighty tree. Over the years, I grew – and slowly, so did the plant. But it turned into a plant and not a tree. 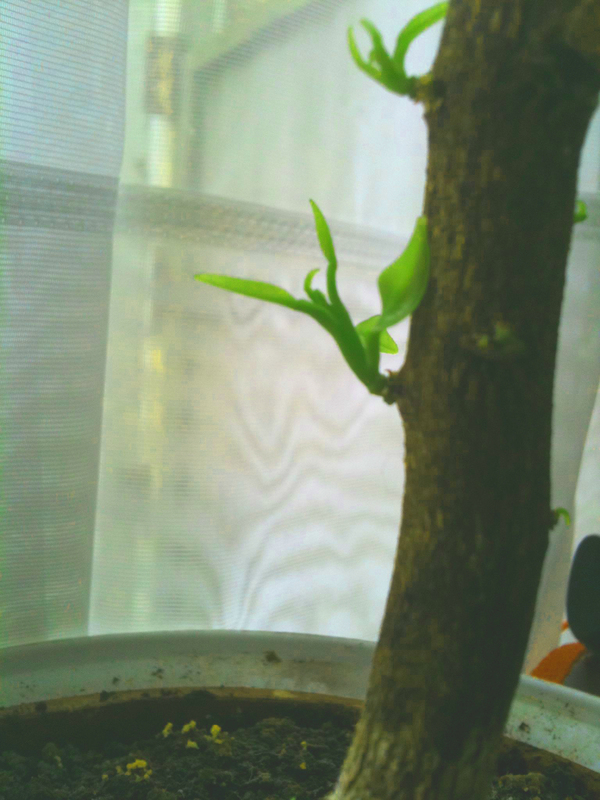 So my mum cut the plant back to it’s small twig of a trunk to refocus it’s growth. Over the winter, it did nothing. It looked like it had died. But as we looked closely, that trunk showed the same kind of green life that I was about to start – from death to life. Unemployment to self-employment. The two extremes. A refocused purpose. Purpose needed fuel. 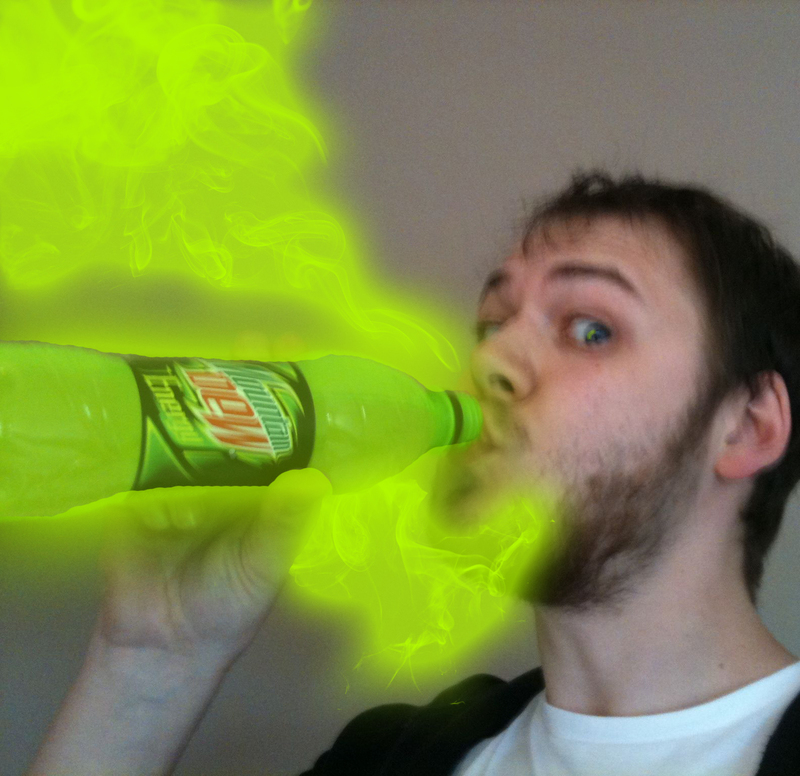 It was at this time Mountain Dew Energy was launched in the UK. No story of green would be complete without it. Once my perspective had been changed, everything looked different. Irrelevant stories from the past, now seemed to make sense and the heartbreaking ones were drowned out by the purpose and excitement that had just been birthed. I was to become self-employed and use all the events, stories and experience I’d ever gained to pull me through to the next stage of my life: to run my own business. I lost my footing beneath the memories and potentials that pushed me further into the labyrinth. As climbed to my feet within the path of paths, I heard grunting noises ahead of me. I started to pick up the pace, only to turn the next corner and see a tail slip around a further twist. As I chased a little longer, I was confronted around the next bend. 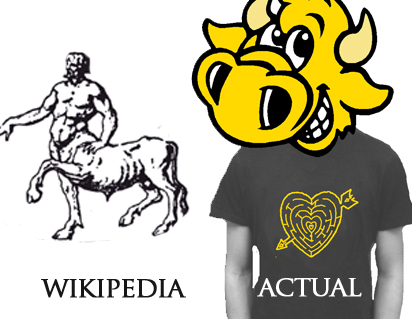 It was a Minotaur. It wasn’t as scary as some make them out to be. A “man” with a bull’s head. Could be worse. As I looked into his eyes, he didn’t seem so scary. But he throw something at me. A glass test tube filled with what looked to be a red liquid. As it spun through the air, his snort turned to a smile and the glass vial smashed into the stoney floor to release a red smoke. The smoke had similar characteristics to the memories I had just seen, but it was denser. So dense, in fact, that I couldn’t see through it. I held my breath and pulled myself through it towards the beast. But the other side of the smoke saw me in a court room, surrounded by people double my age. I was confused, but it soon began to make more sense to me. This was how my story of colour was to progress. Instead of finding my way to the centre of the labyrinth in a short chapter of my life – I would continually return to that labyrinth to battle this mystical enemy. And every time we met, he would throw new challenges at me. And every time, I would run towards them knowing that all the memories, experience, friends and family would support me and push me to the eventual victory over this smirking bull-headed foe and, more importantly, the success of my business and my life. And the next step in this journey was a story of Red. A story of history in the making. McDonalds Monopoly 2018 Winning Tickets Wiiiin!